Quilting the Orizuru quilt was daunting in the beginning. The practice piece was helpful in getting me to loosen up and get into the rhythm of free motion. I then did a few practice squares with scraps. But when it came time to put the cranes under the needle, I would freeze again. So I began with the simple stitch in the ditch to at least make progress. As one reader noted, just do a little to break the ice. Setting my machine to sew at its slowest speed prevented me from accidentally speeding up and getting off track. I finally decided that my main fear was rooted in messing up the stippling, getting backed into a corner without a way out, too many starts and stops, or leaving out a section. The answer was to overcome another trepidation – marking. I have some heat erasable gel pens, and thought that might be the answer. I tested the gel on a scrap of the actual fabric I used. 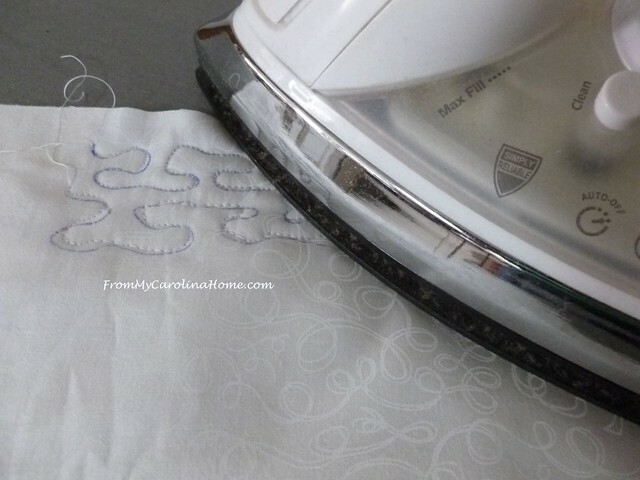 Then sewed on the line and ironed it to be sure it would disappear with the heat. It did. So, I began putting a squiggle line on the background. I made it one continuous line all the way around the piece. When I finished, I realized that I’d missed a section. Then redraw to get the spot I missed, connecting back to the original line. 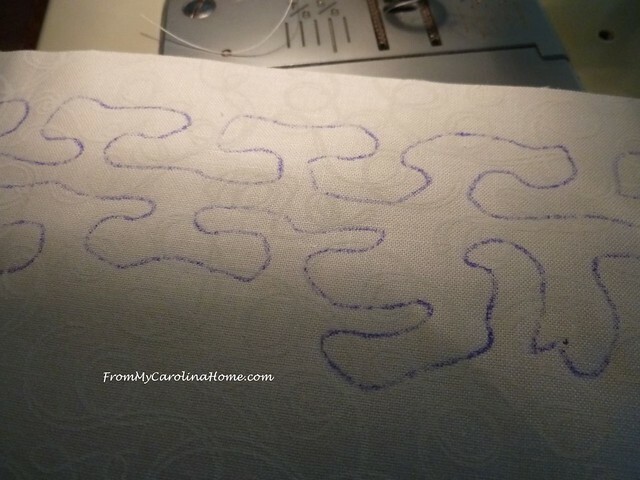 Unlike just jumping in sewing, I could mess with the pattern as much as I wanted before actually beginning to stitch. Then, I began at the corner where my line started, and just followed the line. I could stop as often as I needed to in order to turn the piece so my stitching was always on the line in front of the needle where I could see it. In less time than I imagined would be possible, I was done. You can see that I didn’t always stay right on the line, but that won’t matter once the lines are ironed away. Carefully ironing away the marks went quickly too. The stippling does make the cranes pop. So, the biggest part of the quilting is done. Next will be the stitch in the ditch for the cranes, and the borders. Of course, I have come this far, so the borders need to have special care and attention too. I’ll show you how I finished it up next week. Who says you have to wait until Labor Day to start celebrating? The long weekend begins now, and we’re kicking yours off with a little something special. Get up to 50% off your Private Label supplies during this exclusive shopping party. Hurry, it ends Monday! Select items on sale this weekend in my Etsy Store!! New Fabrics listed, and Stamp sets too. Sale ends Monday!! 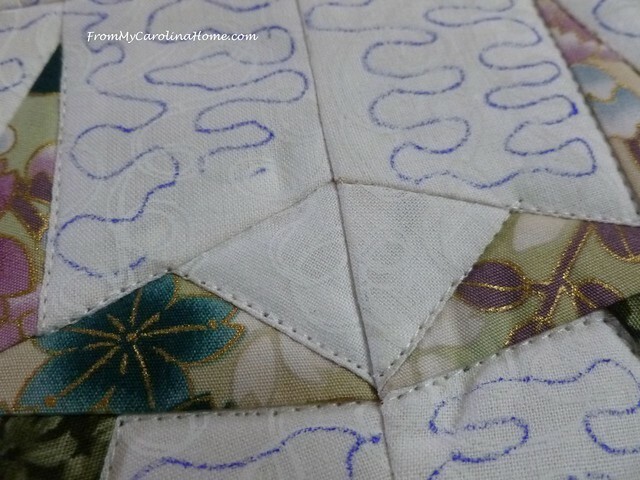 Click on Tsuru Crane Paper Piece Pattern to get the pattern from Blossom Heart Quilts on Craftsy, and check out the Steals and Deals. Heat Erasable Gel Pens at Fat Quarter Shop. Select items on sale this weekend in my Etsy Store!! New Fabrics listed, and Stamp sets too. See what’s new on sale today with the Fat Quarter Shop’s Flash Sale. 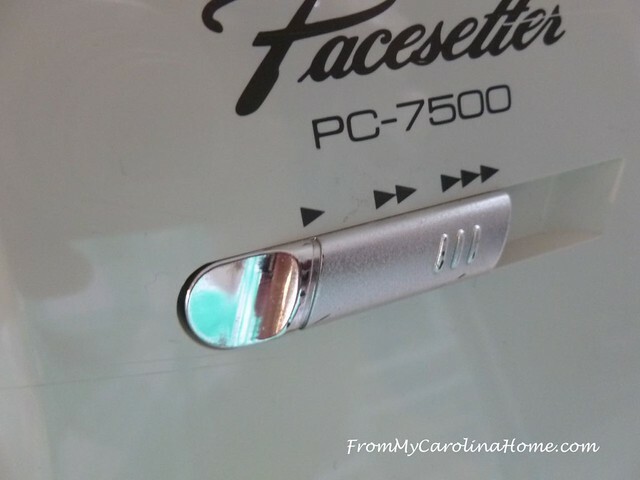 Thank you for using my affiliate links! Do you have a fear of marking? Fear of marking….I have 2 projects where the clover silver marking pencil did not come off. I have heard “good and bad” about the gel pens. The blue water erasable is the only one so far that I have used with any success. I’ve been “practicing” on placemats. You inspire me to try again with marking. 🙂 I like the approach you made, because I find myself boxed in just as you describe. It looks great. I don’t think I really have a fear of marking, but I do struggle with what to use. I don’t like Frixion pens because I’m not convinced the marks won’t come back in time. While at our quilt show this summer, I did discover a chalk pencil that irons off. I’ve been using that with some success. The only drawback is that the lines can get large as the point gets dull, so staying on the “line” becomes a bit challenging. 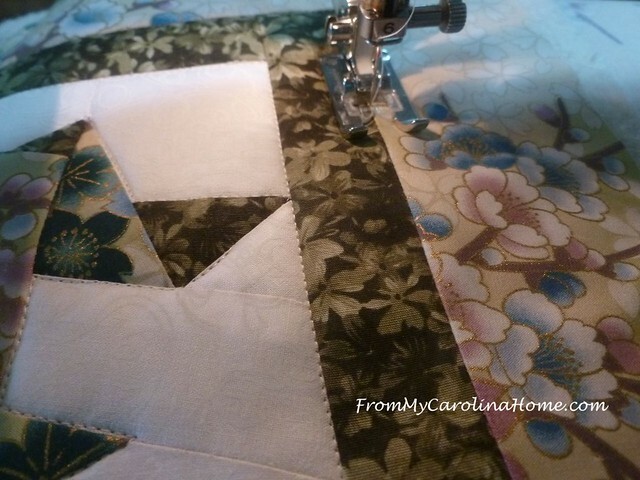 Your quilting looks great, and I think you came up with a great solution! The stipple quilting turned out beautifully. 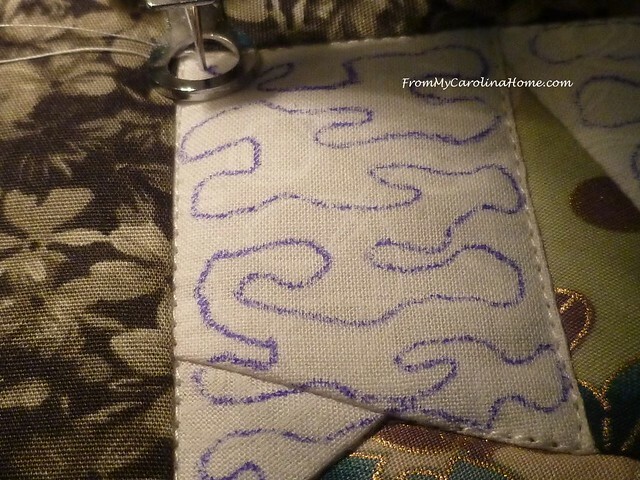 I don’t mark my stipple projects, but I love those frixion pens – especially for embroidery. Personally, I would hesitate to use any heat erasable pens for marking on my quilt tops. The Frixion pen marks DO come back in cold conditions. I would not use the new, fabric version of these pens unless I tested them to see if the did the same thing. That is a problem, and I should have mentioned it in the post. I’ll be sure to do that next time. For now, the quilt won’t be in a cold situation, so I’m OK with using them for this little quilt. I wouldn’t use them for a national competition quilt. Beautiful! I need to get one of those pens! Looking very nice. Those pens worked well. I’ll be watching for the next episode. I’m glad you found a solution to help. 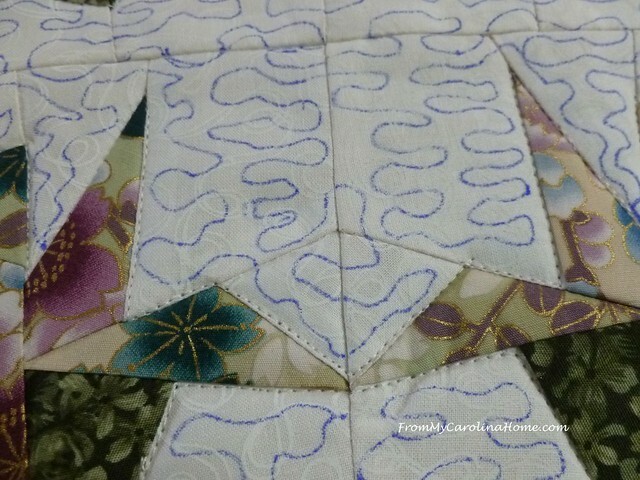 Marking is an invaluable part of quilting. I don’t know how I would get some of my ideas pulled off without it! I love this more each time you show it to us! For me , the hardest part is always starting, especially those things I’m not so sure I’ll be good at… the temptation is to stick with what i do well, but how boring can I get?!!! YES! I cringed when I saw yours. LOL!!! Butttt I’m going to try this! THANKS Carole! What a great idea! I’m going to have to try that. 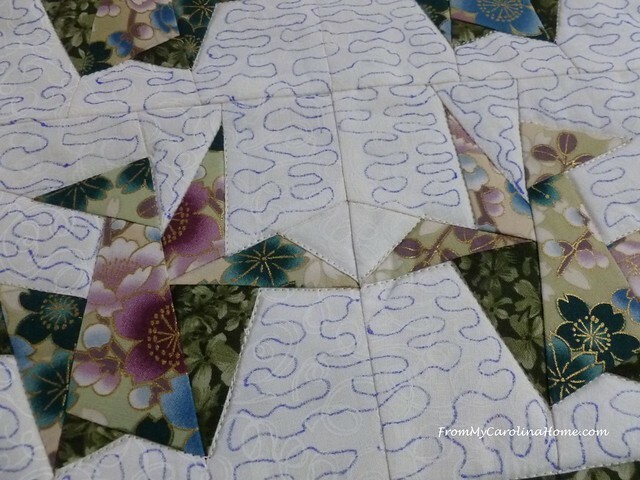 Your quilted piece looks beautiful! 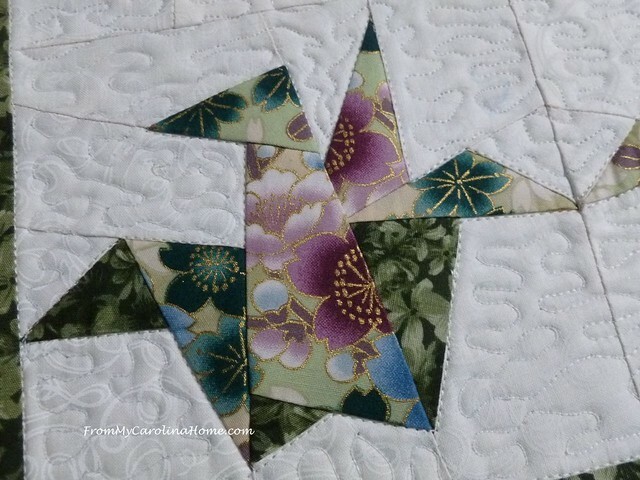 Those cranes are beautiful, and the way you have quilted it all, makes a superb finish. We can get those pens down here, so I might have to try, and research what the lines do when it gets cold.Maybe in NZ it isn’t cold enough. Hello Carole; I am glad that you found a solution to your problem. 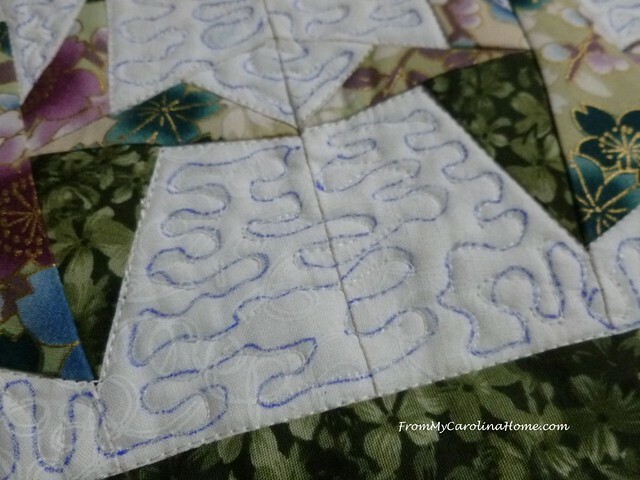 Your stipple quilting does look wonderful and it is a great way to learn a new design plus, gain the courage. I know that there are a couple of those pens around this house someplace, I would like to give this method a try and see how I do. Thank you for sharing and have a spectacular weekend! 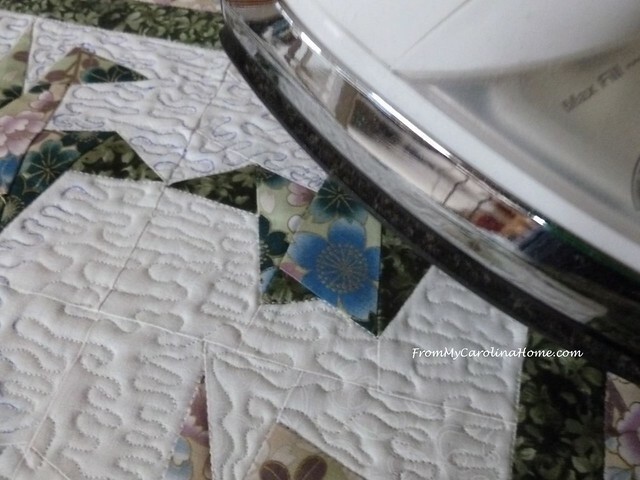 I love your quilt and have recently bought my dream sewing machine so I can experiment with things like machine quilting. 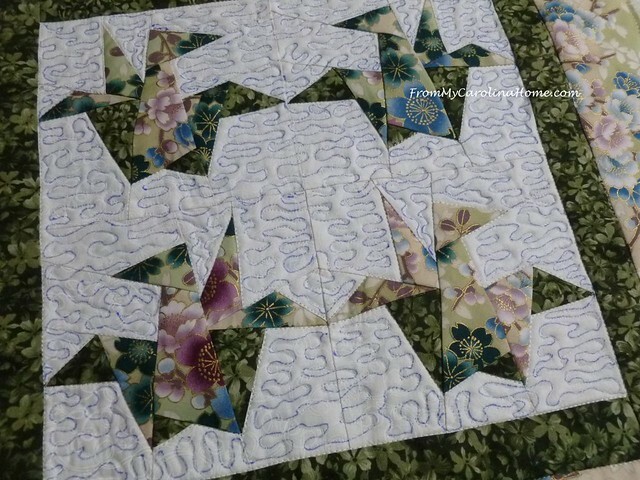 I have been a hand quilter using EPP for a few years. 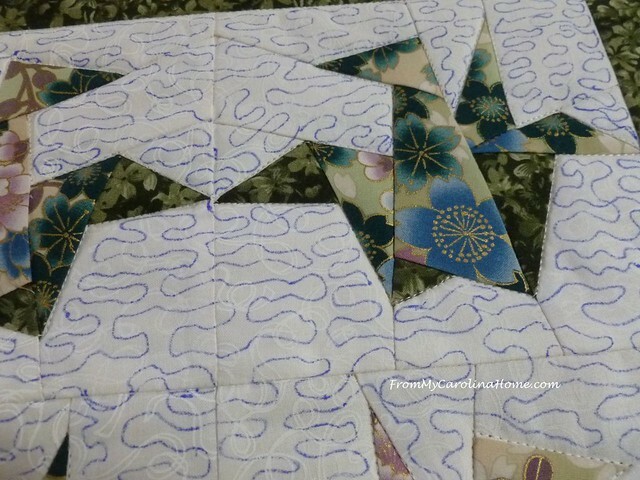 Two years ago I used a Frixion on a large hand quilting project and am pleased. Very light background where I used my pen. If a little bit comes back use a blow dryer which is easier than an iron imo. There are only two places where my markings come back and those two spots were saturated with the ink I suspect. It looks a bit dirty for three stitch’s or so and disappears when I blow dry it. 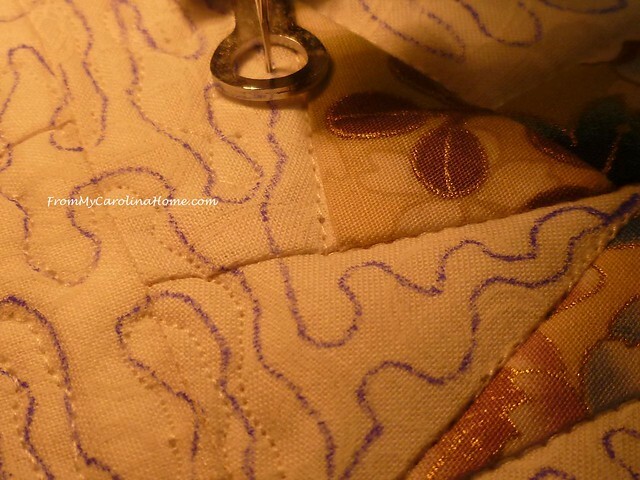 My quilt has been exposed to cold temps……. I mark the items I make for gifts — I do test my marking tools before each project; I learned that lesson the hard way. 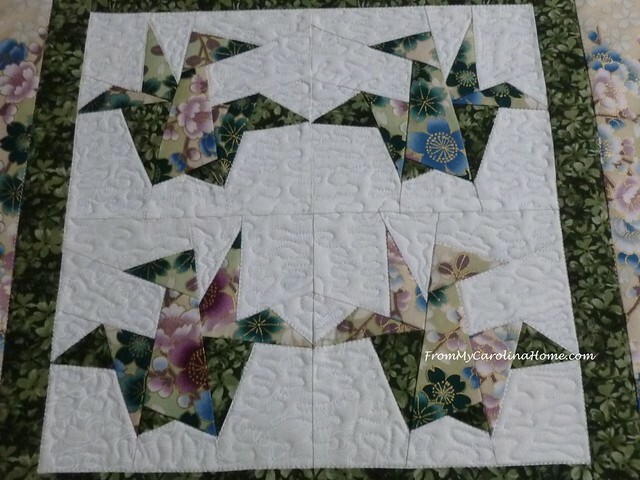 Your crane mini quilt is beautiful! You did that all on your brother? Love the idea of using the iron off pen first because I’m also not so confident with my juki yet! you don’t want to see my practice piece. do you use the embroidery capability on the brother as well? Love this piece, are you going to hang it, or use it on a table?